For years, activists with the Chicago south side group FLY (Fearless Leading by the Youth) have pressured the Chicago establishment, particularly the University of Chicago, to re-establish one or more adult trauma centers on Chicago's south side (where there are currently no adult trauma centers). FLY has been particularly active on this issue ever since one of their members died in part because he couldn't be sent to a trauma center quickly enough. 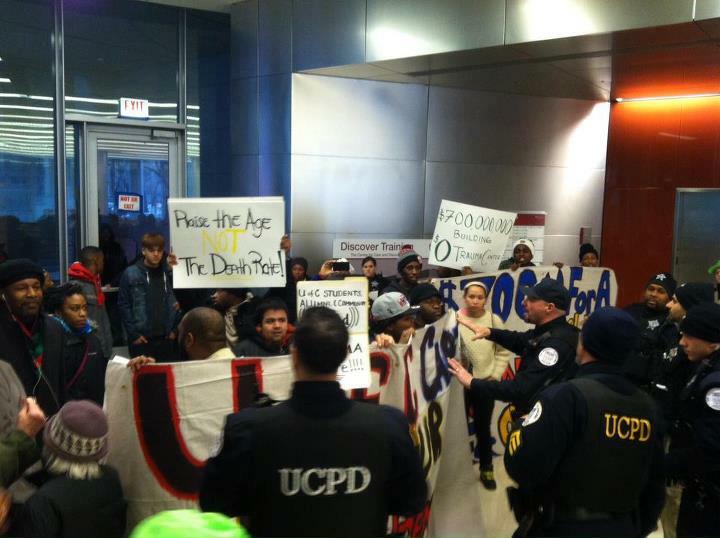 FLY staged a protest outside a new University of Chicago hospital on January 27, 2013, which saw four people arrested. The arrests have spurred many follow-up actions and coverage, including a petition, a vigil, and a call-in day of action on February 6th, widening awareness of the issue and improving the chances for progress.